Gorgeous, runs at rated speeds (and overclocked), no problems. Same here, corsair all the way. 16G was enough for what I needed and white/RGB to make the build looks fancy. Totally useless therefore utterly indispensable. After manually settings the timings and voltage after updating the BIOS it's running at 3200mhz. And it's gorgeous. Maybe I should've gone with the black sticks instead of white, but I love the way it looks. The RGB is much brighter than I expected and working well with Aura Sync without any extra input on my behalf. 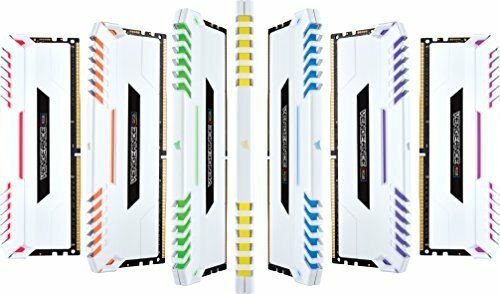 I initially ordered a set of GeIL Super Luce RGB 2133, on the theory that they were relatively cheap and that my motherboard doesn't support anything over 2133 in four slots without overclocking, and I have no need to overclock anything (or for using four slots, but I'm planning ahead). But the RGB on the GeILs is horrible - it can apparently only be controlled through the Asus Aura app, so on a non-Asus board, the RGB strips default to a bright rainbow cycle. As far as I can tell, GeIL has no software controller for its RGB memory. So I returned the GeIL sticks and got the Corsairs. These cost a few dollars more, but they are beautiful, and the Corsair Link software is pretty slick. 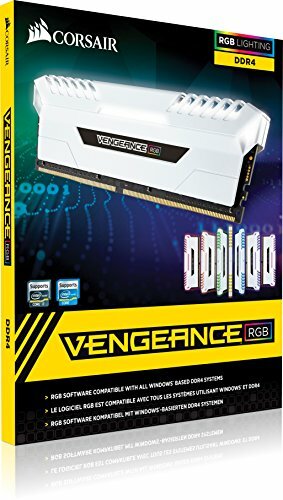 It would be nice if these were compatible with the ASRock RGB software, but almost nothing is compatible with the ASRock RGB software, so I don't really blame Corsair. I haven't messed with the UEFI settings on these (other than manually selecting the 3200 XMP profile, which led to a red screen of death and boot failures), so I don't know if I can actually get 3200 speeds on my Ryzen board, but they're working great at whatever default speed the board has them set at. Maybe when ASRock gets around to putting out a UEFI update with AGESA 1.0.0.7 I'll get higher default speeds? Works well and certainly looks fancy. 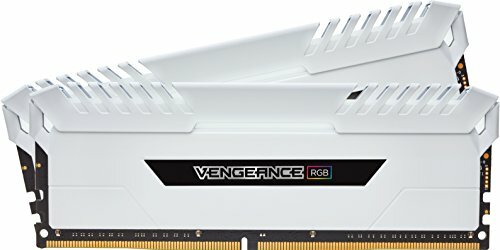 Took it down a star due to the price of the package, DDR4 prices are horrendous right now. Works at stated speed right out of the box with 0 issues. DRAM prices really need to come down, that is my only thought. Great RAM. works with aura sync and corsair link.